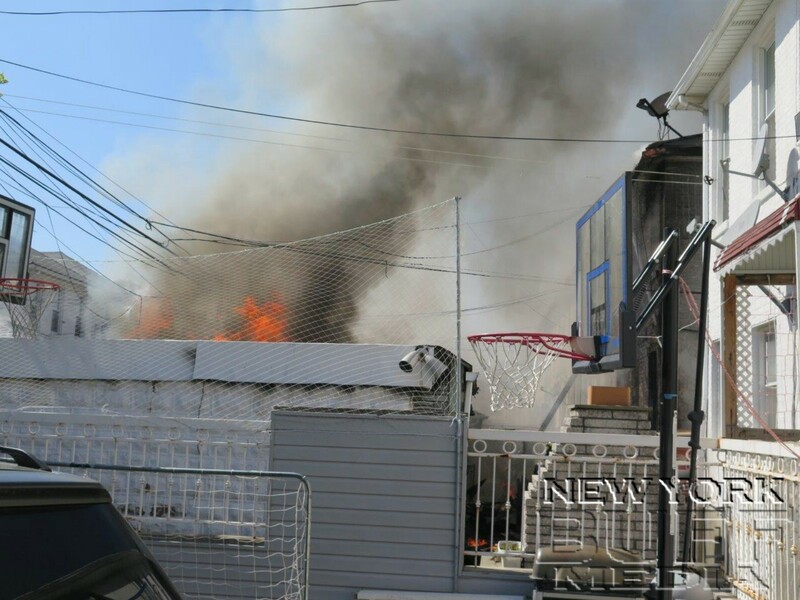 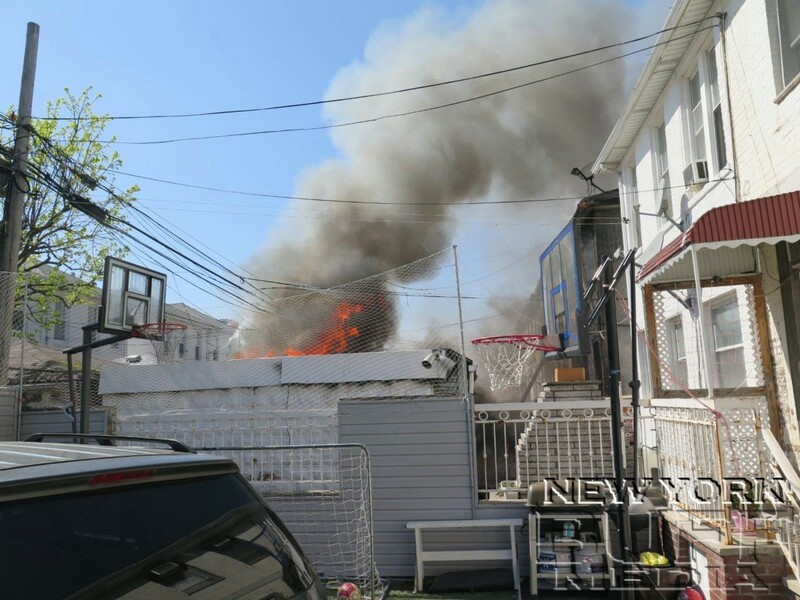 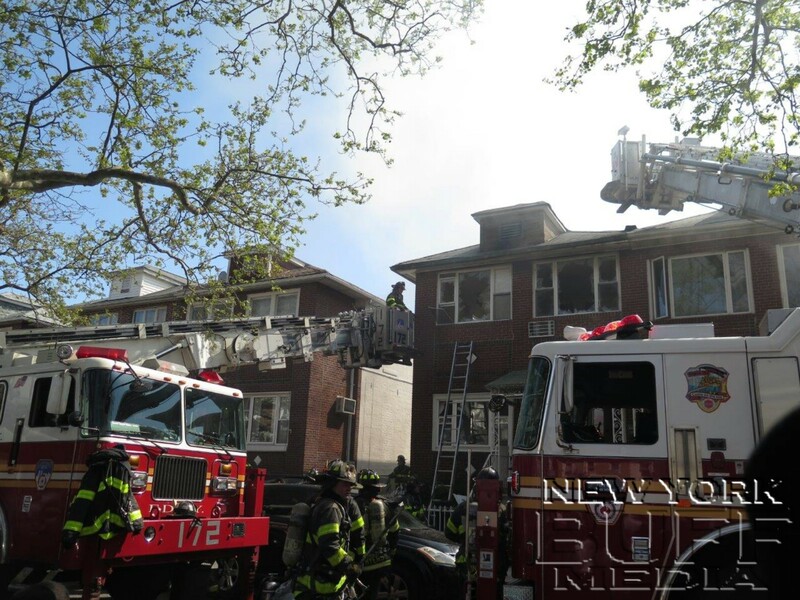 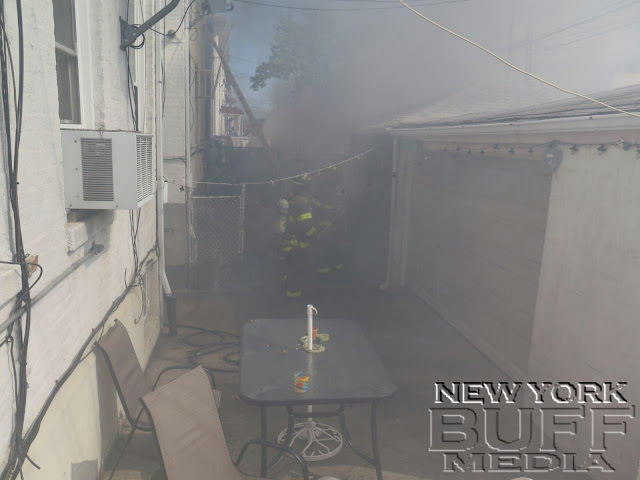 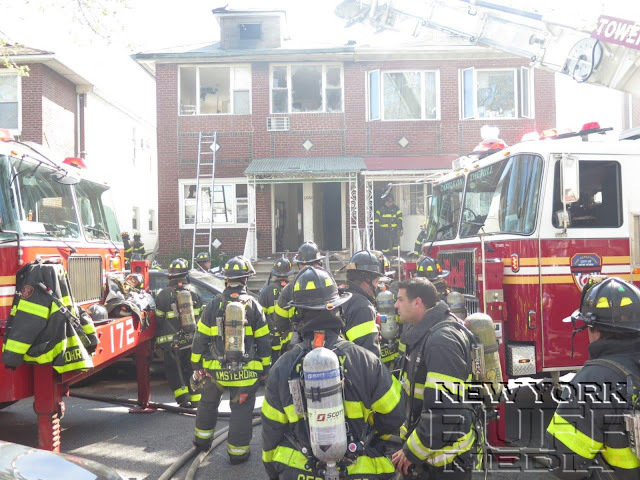 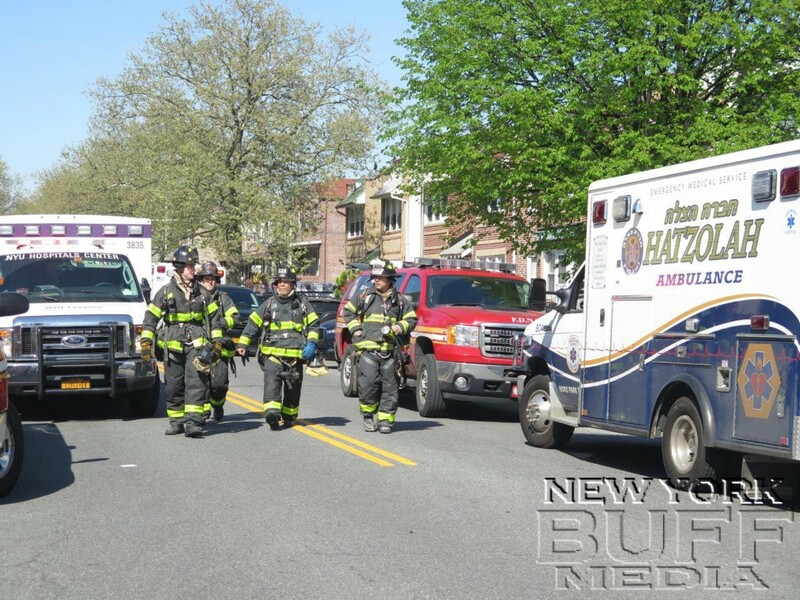 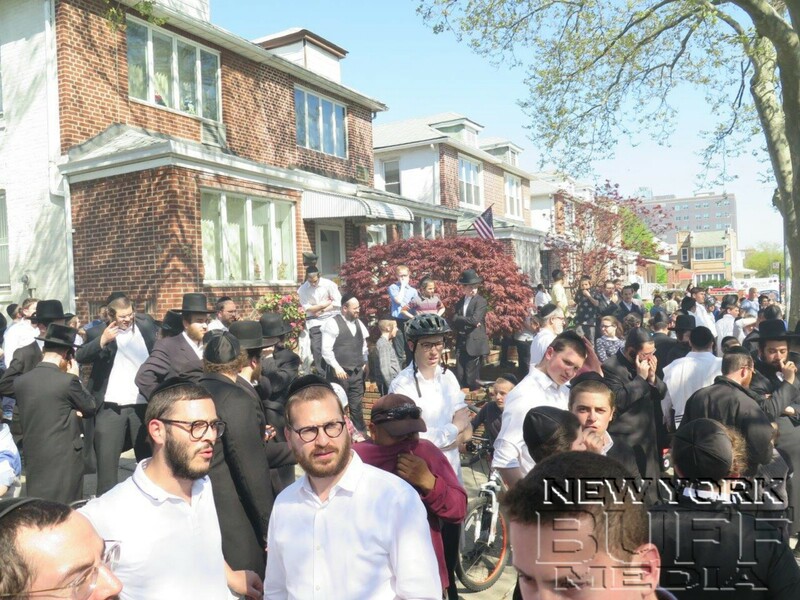 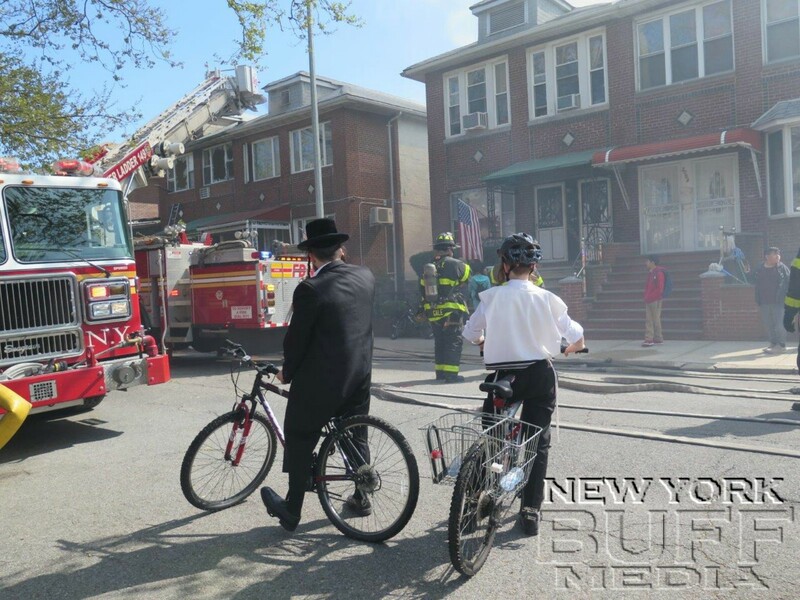 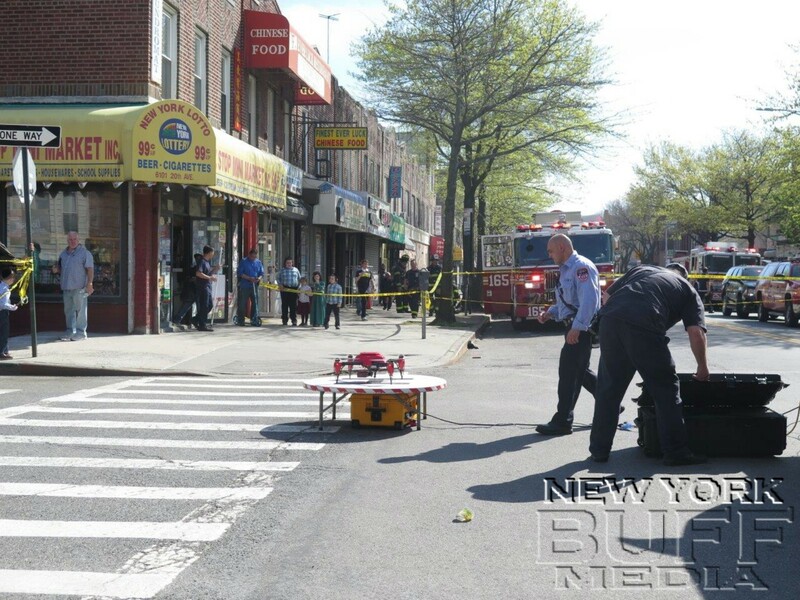 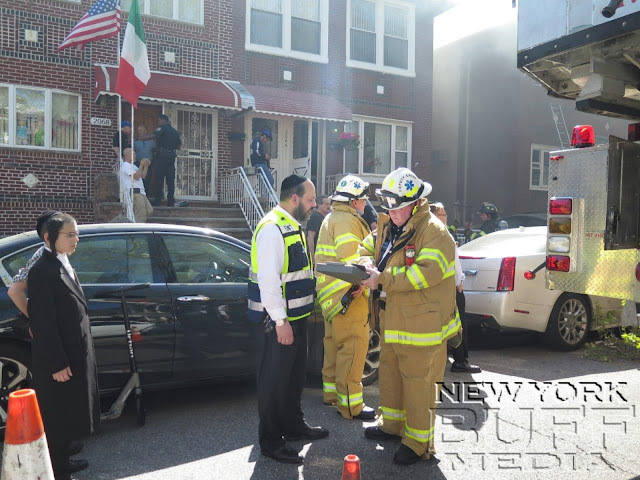 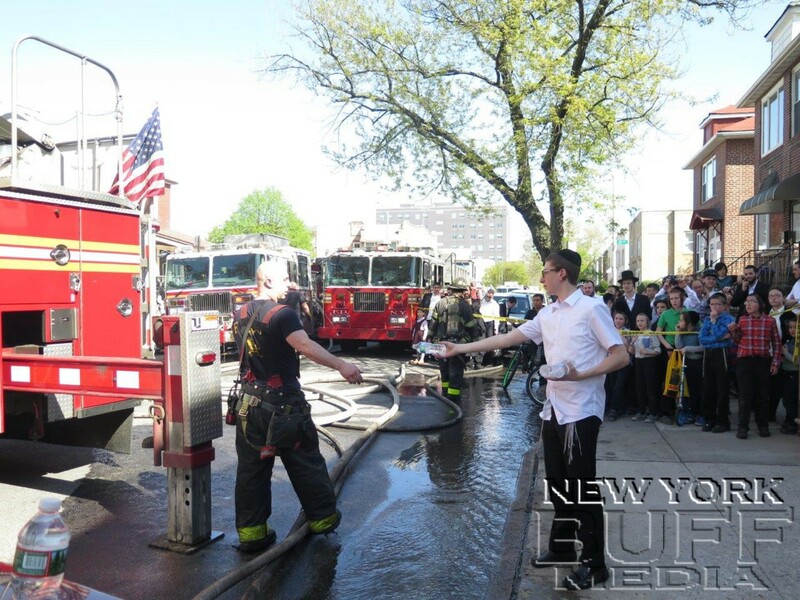 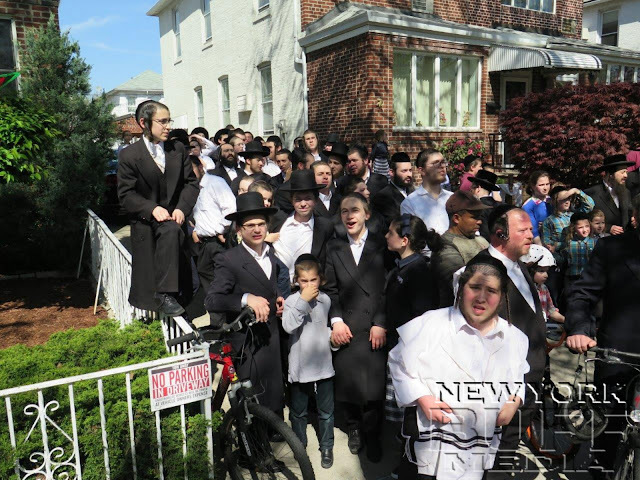 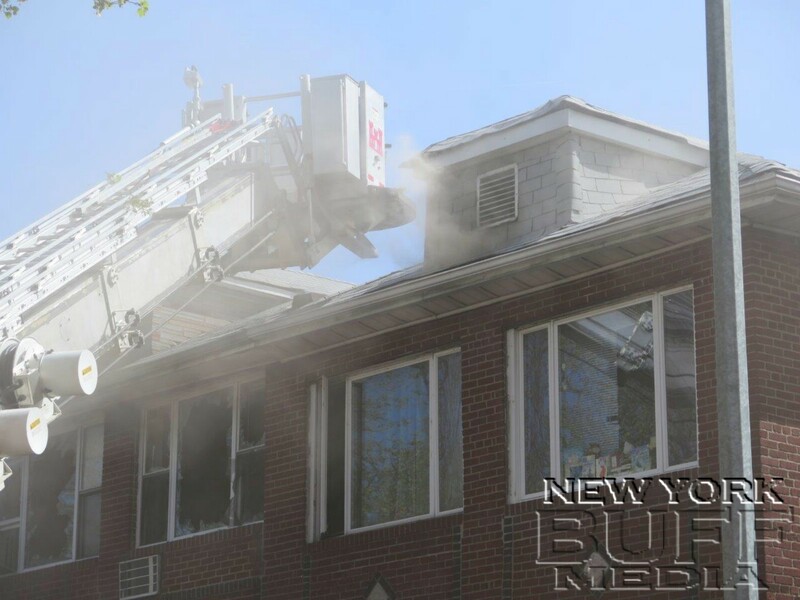 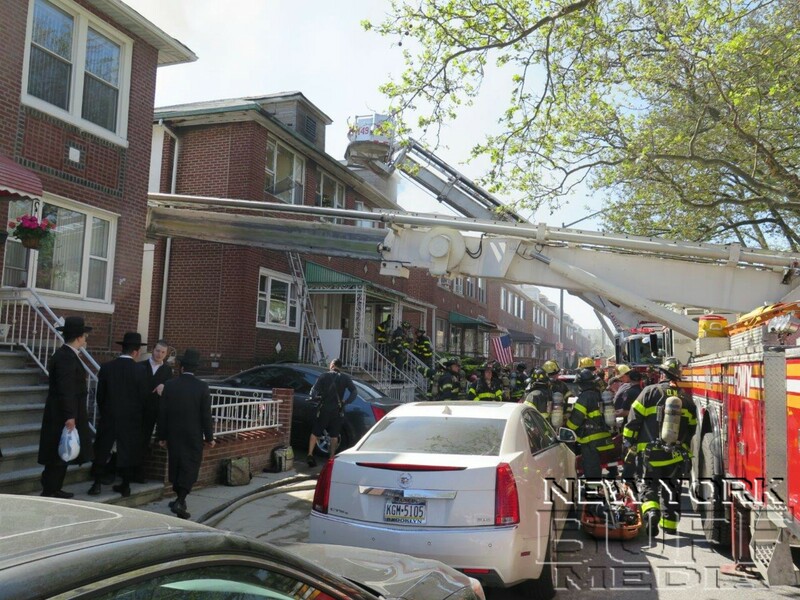 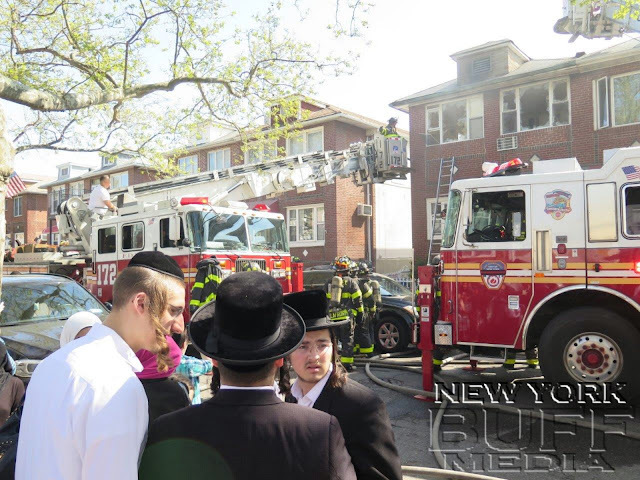 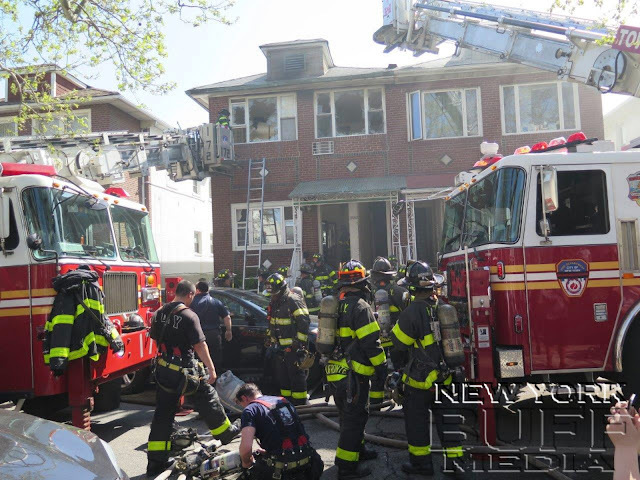 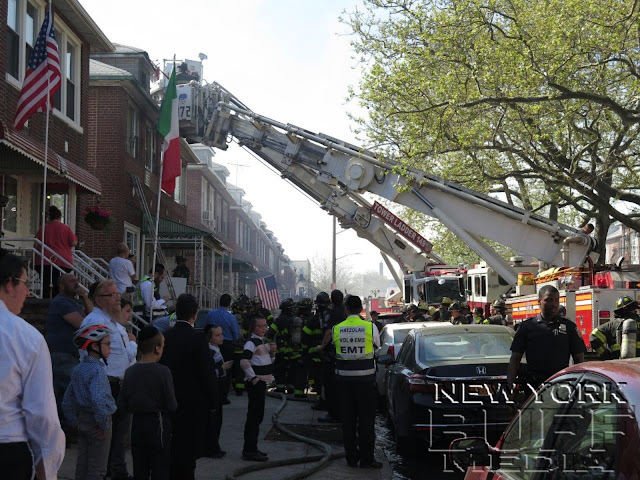 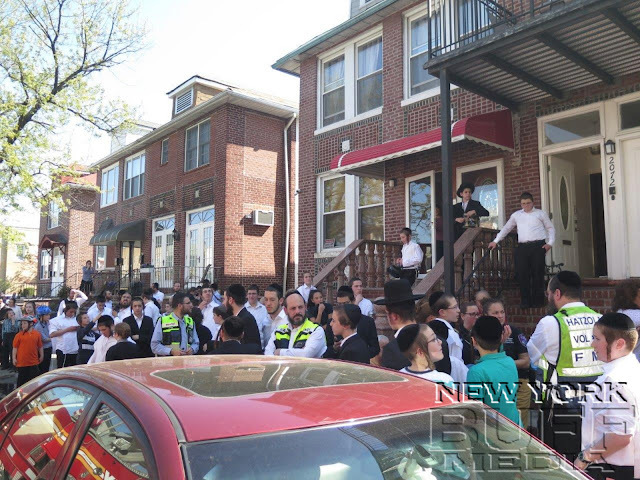 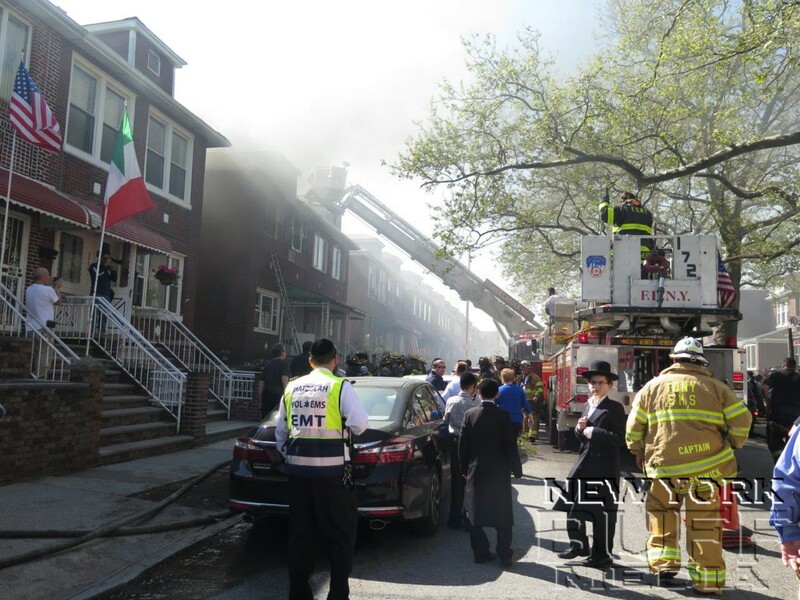 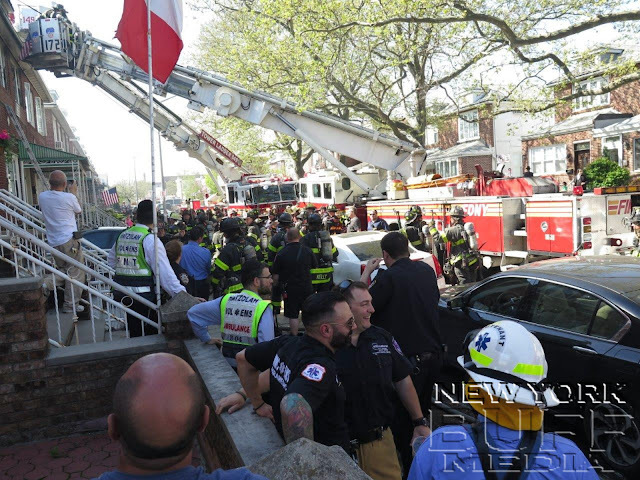 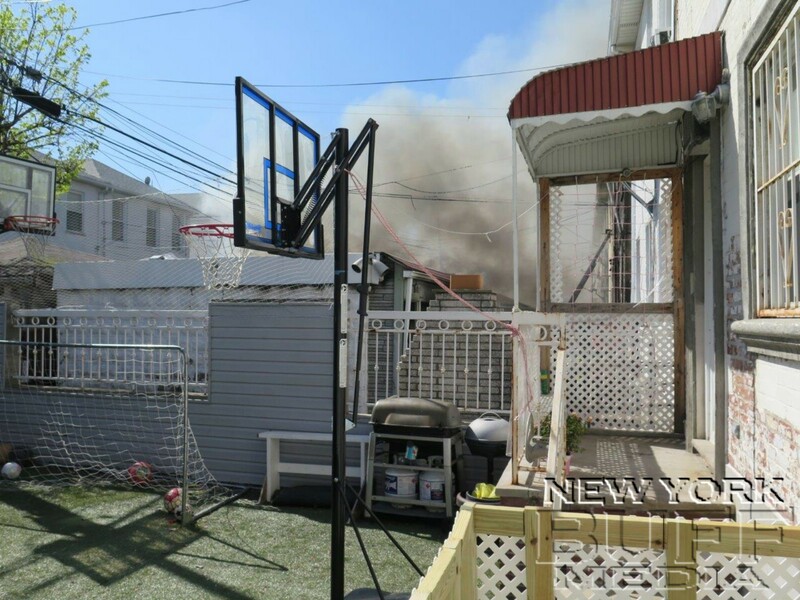 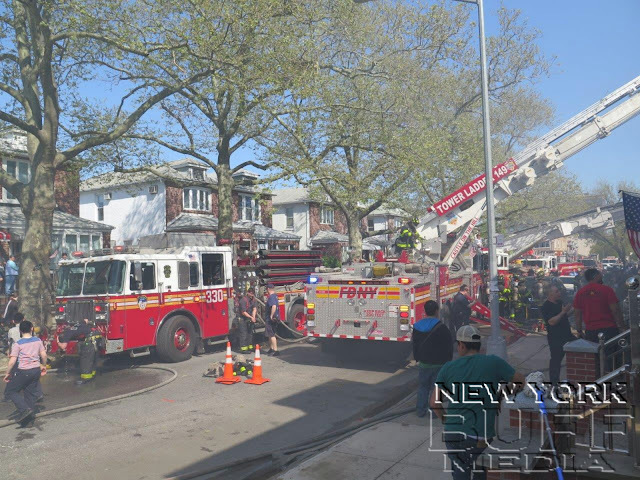 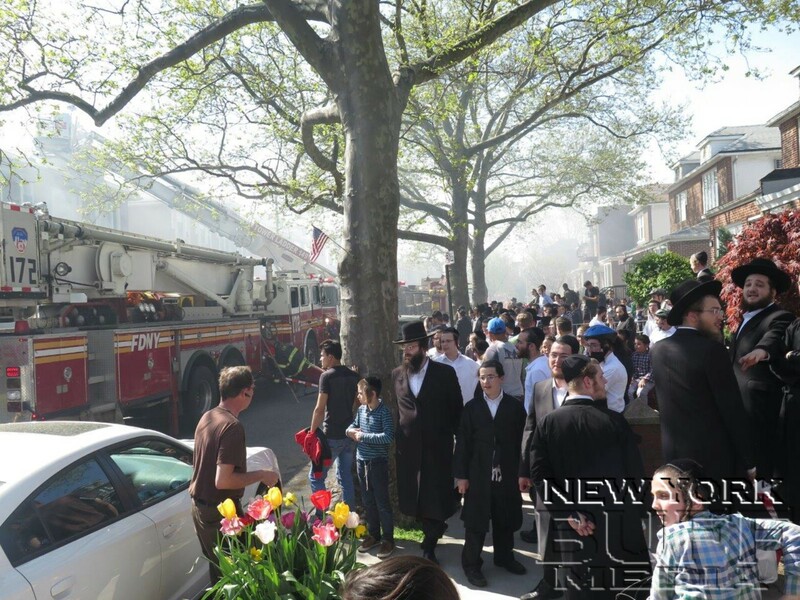 Bensonhurst - Eight people were injured, including seven firefighters, after a fire that started in a garage where flammables were stored spread to two homes in Brooklyn on Friday afternoon. 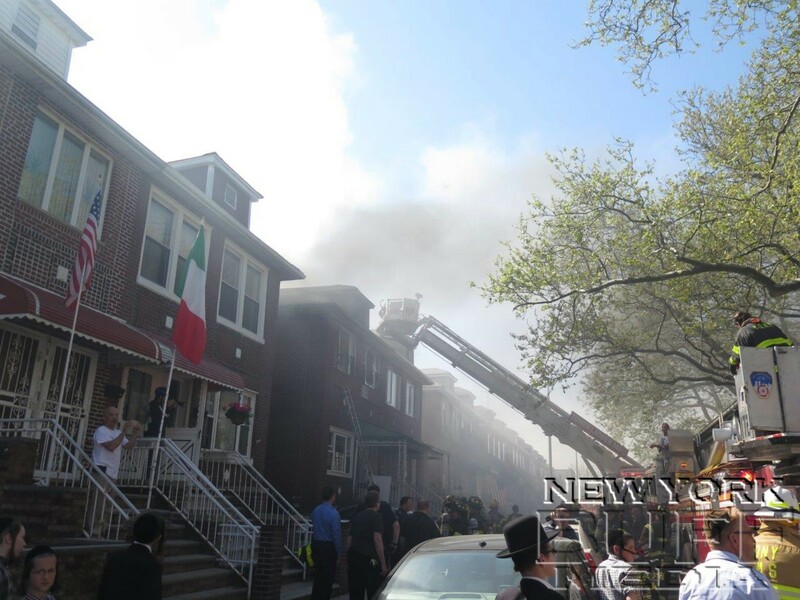 Dozens of firefighters were battling the blaze in Bensonhurst amid 80-degree temps and a hot sun beating down overhead. 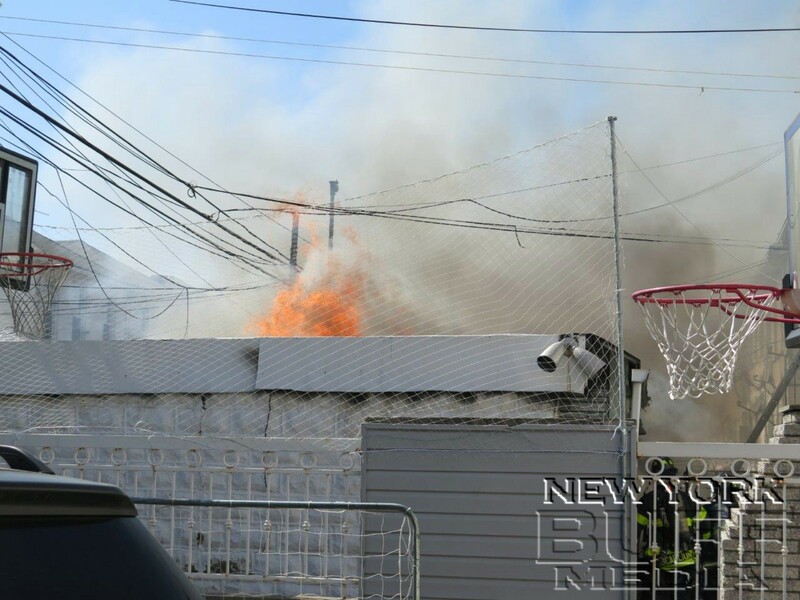 Fire officials said the fire broke out in the garage of one of the two-story homes around 3 p.m. before spreading to the other two-story home on 61st Street near 21st Avenue. 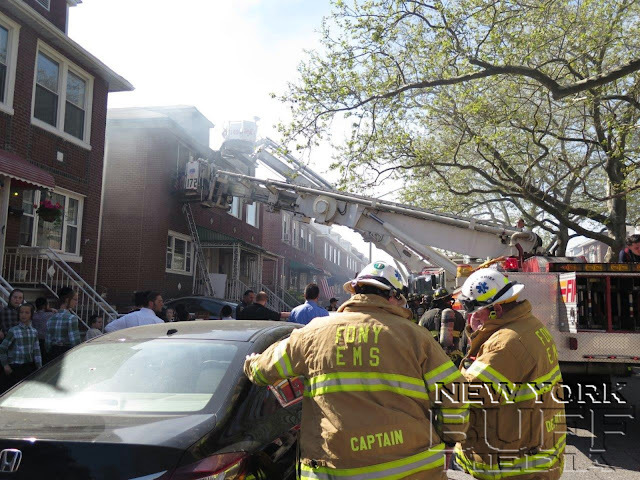 Deputy Chief Michael Gala said there were 150 cases of fuel in the garage where the fire started. 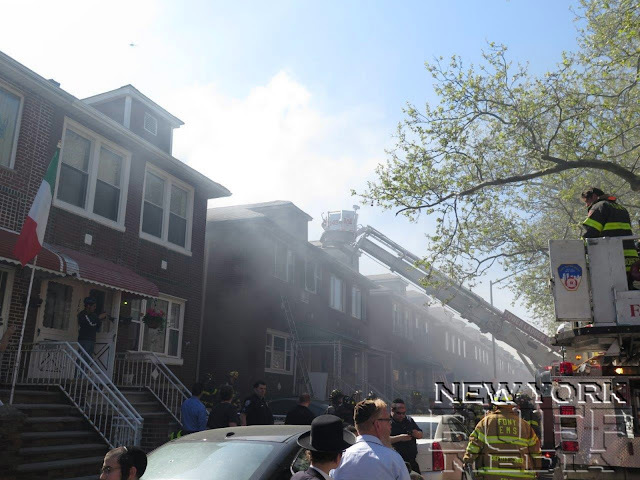 Gala said 140 firefighters and EMTs responded to the fire. By 4 p.m., firefighters had cut holes in the roofs of the two homes to ventilate them. 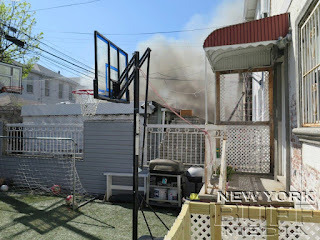 A plume of blackish smoke was rising overhead. 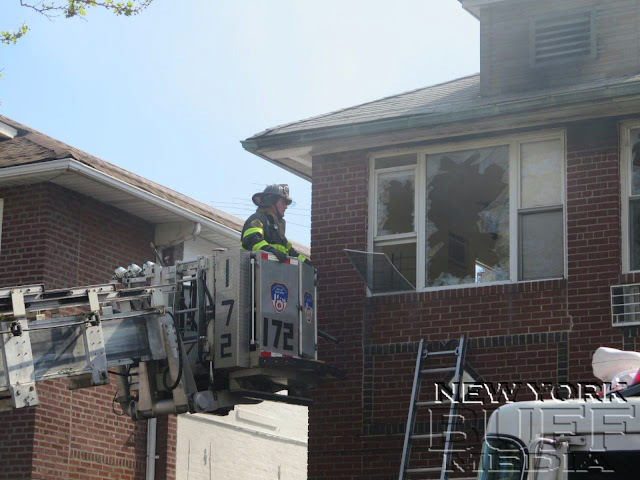 The fire was brought under control about 15 minutes later. Seven firefighters had minor injuries, officials said. One civilian, said to be a worker in the garage, suffered minor burns and was taken to Staten Island University North.